The Supreme Court on Thursday stated that auction is not the only method for allocation of natural resources to private companies. It also clarified that its 2G verdict was confined to spectrum and not to other natural resources. Giving its opinion on the Presidential Reference arising out of the 2G verdict, a five-judge Constitution Bench headed by Chief Justice of India S.H. Kapadia also said that common good is the touchstone for any policy and if it meets that, then any means adopted is in accordance with constitutional principles. A major political crisis looms large over the Maharashtra government with the NCP playing the “resignation card” to foil Congress plans to put it in the dock over a scam in irrigation projects. 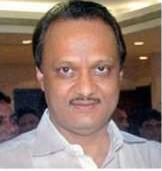 Deputy chief minister Ajit Pawar said he was quitting all ministerial posts on Tuesday in the wake of corruption allegations. After this, 19 other NCP ministers also sent their resignations to state NCP chief Madhukar Pichad. 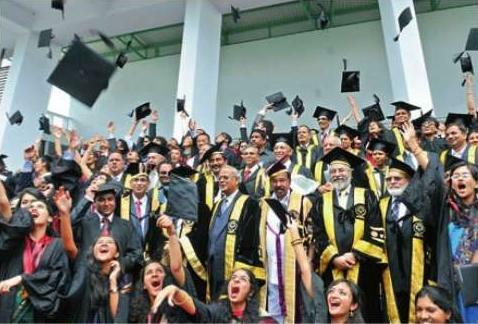 This is UPA-2’s most serious crisis after the Trinamul Congress’ recent exit. The fate of roads and buildings minister Dharmana Prasada Rao will be decided on Tuesday when he appears in court in response to the summons issued by the CBI special court in the Vanpic port case. He is the fifth accused in the case. 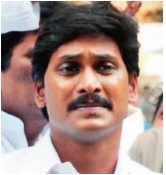 Nine other accused in the case, including YSR Congress president Y.S. Jagan Mohan Reddy, former minister M. Venkataramana and senior IAS officials Manmohan Singh and P. Samuel, will be appearing before the Nampally court on Tuesday. Legal experts say Mr Prasada Rao could be arrested and released on bail with sureties and personal bond. The CBI can also file a petition in court seeking police custody of the minister and the other accused who have not been arrested so far. 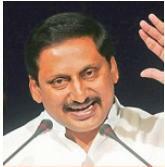 Reacting to reports in the national media about a possible change of guard in the state, Chief Minister N. Kiran Kumar Reddy said on Sunday that he would continue in his post till the 2014 elections and lead the party to victory. 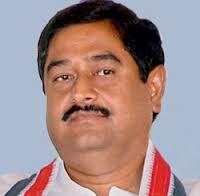 Speaking in Mahbubnagar, Mr Kiran Kumar Reddy, asserted that the media reports were false. He told Congress workers at the three-day Indiramma Baata that the state leadership would not let efficient Congress men leave the party and they would be treated well and rewarded with nominated posts. He added that inefficient party men were welcome to leave. Ruling out any pre-poll non-Congress, non-BJP coalition, Samajwadi Party chief Mulayam Singh Yadav said Thursday the Third Front would be formed only after the next general election. He also made it clear he was not averse to becoming Prime Minister, although he said he wouldn’t be projected as PM candidate before the elections. 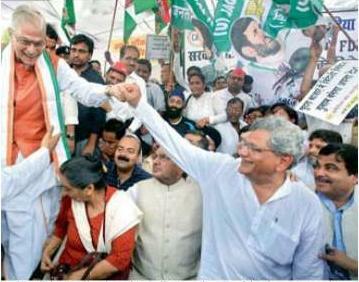 “The Third Front has always been formed after elections. The Samajwadi Party will contest the polls on its own. 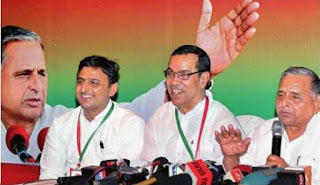 The Third Front will be formed only after assessing the situation emerging after the election,” he told the media at the end of the SP’s two-day national executive meeting in Kolkata. To persistent questions by reporters, Mr Yadav kept insisting there was absolutely no question of any prepoll third alternative being formed. 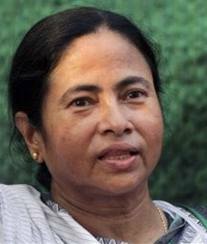 He also said there had been no talks with any party (either Trinamul or CPM) on the Third Front. 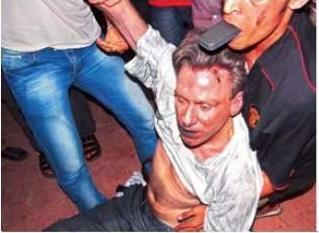 US ambassador to Libya Chris Stevens and three other Americans were killed when a mob angered over a film mocking Islam stormed the US consulate in Benghazi, sparking world outrage and drawing an apology from the Libyan authorities. The attack coincided with the anniversary of the September 11, 2001 attacks. The Benghazi attack came hours after Islamists stormed the US embassy in Cairo in a similar protest against the amateur US-made Internet video. Large crowds surrounded the US embasies at Morocco Sudan and Tunisia. The film, Innocence of Muslims, in which actors have strong American accents, portrays Muslims as immoral and gratuitously violent. No one seems to have a clue where the separate statehood issue is heading at this juncture. While the TRS chief, Mr K. Chandrasekhar Rao, is camping in New Delhi apparently for deliberations with the Congress leaders regarding a favourable announcement by the month end, Union ministers Sushilkumar Shinde and Mr Ghulam Nabi Azad have categorically stated that nothing’s going to happen in the near future. The TRS and other proTelangana bodies hope that UPA will take a positive decision on Telangana despite the non-committal attitude of the Union ministers. They say that the final decision lies with the UPA chairperson, Mrs Sonia Gandhi, and the ministers’ statements were “inconsequential”. 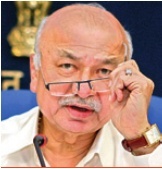 The Union home minister, Mr Sushilkumar Shinde, on Monday said that the Centre would not make any announcement on Telangana without considering the Naxal problem. Stating that reports had indicated that “creation of smaller states had seen the spread of Naxalism”, the minister said that with Naxal activities on the rise in smaller states like Chhattisgarh, the Centre was bound to consider the Naxal issue before taking a decision on Telangana. Addressing a press conference in New Delhi on Monday, Mr Shinde, who as the home minister, deals with the formation of new states under Article 3 of statute, said that many delegations from AP had met him recently to place their views on the Telangana issue. “I have heard them carefully. It is a long pending issue. There are different opinions and we have to see all of them. We have to deal carefully,” he said. 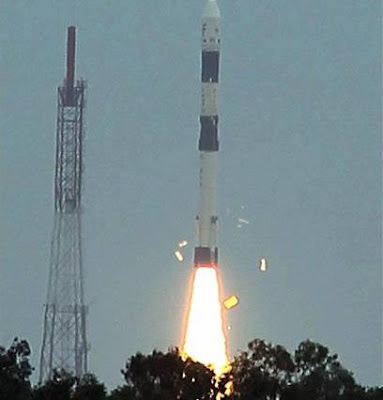 In a copybook launch on an overcast Sunday morning, Isro’s workhorse PSLV placed in orbit France’s SPOT 6 satellite and the Japanese spacecraft PROTIERES, some 18 minutes after a perfect lift-off from the Satish Dhawan Space Centre here, thus completing its 100th successful launch. The 44-metre Polar Satellite Launch Vehicle (PSLV) took off on its 22nd flight into the overcast skies carrying the French satellite with a lift-off mass of 712 kg, the heaviest ever to be launched by India for an international client, and the 15-kg Japanese microspacecraft. The successful launch was cheered by Prime Minister Manmohan Singh and a congregation of ministers, MP’s, officials and scientists at the mission control room at Shar Centre. Defending champion Novak Djokovic stormed into a sixth successive US Open semi-final on Thursday with a breathtaking 6-2, 7-6 (7/3), 6-4 demolition of 2009 winner Juan Martin Del Potro. The second-seeded Serb is bidding to win a sixth Grand Slam title and is now the comfortable tournament favourite following the elimination of world number one Roger Federer. He goes on to face Spanish fourth seed David Ferrer, who defeated Serb eighth seed Janko Tipsarevic 6-3, 6-7 (5/7), 2-6, 6-3, 7-6 (7/4), for a place in Sunday's final. Saturday's other semi-final sees third seed Andy Murray face Tomas Berdych of the Czech Republic. After the Time magazine called him an “underachiever”, an article in the Washington Post flayed Manmohan Singh for being a “silent” Prime Minister who has become “a tragic figure”. Reacting strongly to the article, information and broadcasting minister Ambika Soni said that the article was “unacceptable”. The “claims are completely baseless and we reject it,” she said. The external affairs ministry is expected to take up the issue. So far, the Washington Post said that “no apology has been offered for the article”. 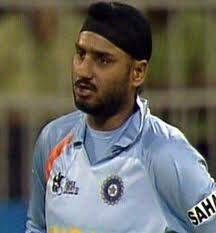 “They have done this kind of things earlier and had apologised. If the Washington Post has written things like this against the Prime Minister, trust me I will take strong action against them,” Ms Soni said. The CBI on Tuesday registered multiple FIRs against five companies for alleged criminal conspiracy to get coal blocks and initiated nationwide searches on their offices. The agency named 20 directors of the companies, including Congress MP Vijay Darda, and unknown government officials in five FIRs filed in the Coalgate scam. According to sources, the companies booked by the CBI include JLD Yavatmal Energy Ltd, Nagpur (in which Mr Darda was a director), JAS Infrastructure Capital Pvt. Ltd (Kolkata), AMR Iron and Steel Ltd (Nagpur), Navabharat Power Pvt. Ltd (Hyderabad) and Vini Iron and Steel Udyog Ltd (Kolkata). A 57-minute interruption due to an irritant drizzle, a mini middle-order collapse, darkening skies and floodlights burning furiously this was a scene far removed from what is generally perceived to be dull, Test match cricket. For the many faithful who turned up religiously over the past four days, it was adrenaline stuff as Mahendra Singh Dhoni (48 n.o.) 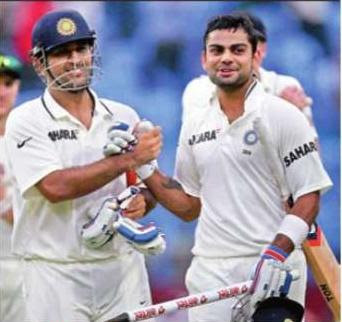 not only became India’s most successful captain ever with 14 home Test wins while his trusted soldier Virat Kohli once again stood like a rock for the team which pocketed the series 2-0 following a five-wicket victory. For the second time in three days, first innings centurion and man of the match Kohli (51 n.o.) showed how much he has come along as a reliable middle order player with a no-frills, no-nonsense approach when faced with a potentially tricky target set by New Zealand on a fantastic pitch at the Chinnaswamy in the second Test on Monday. With the visitors’ folding up for 248, courtesy a dubious decision by umpire Ian Gould to send back last batsman Jeetan Patel, the Indians were left to chase 261 in the 83 overs remaining for the day without taking into account the fifth day’s play. For the first time in 12 innings, the opening pair of Virender Sehwag and Gautam Gambhir put on a half-century partnership but their quick departure showed why Test cricket can be won or lost in a session. The 77-run stand was their best in six Tests and though the beginning was good there was lot of ground to be covered especially after Sehwag, following a blistering start, threw it all away jumping out to Patel and be comprehensively bowled. Gambhir played just one bad stroke and paid for it, cutting Trent Boult to Ross Taylor at slips while being rooted in the crease.